Cleaning your walls probably isn't at the top of your list of chores. And baseboards tend to be forgotten since you don't really look at them too closely. But no matter how much you ignore them, these parts of your house still need to be cleaned. But cleaning your walls and baseboards doesn't have to turn into a huge ordeal. In fact, they're both fairly simple to clean if you know what you're doing. 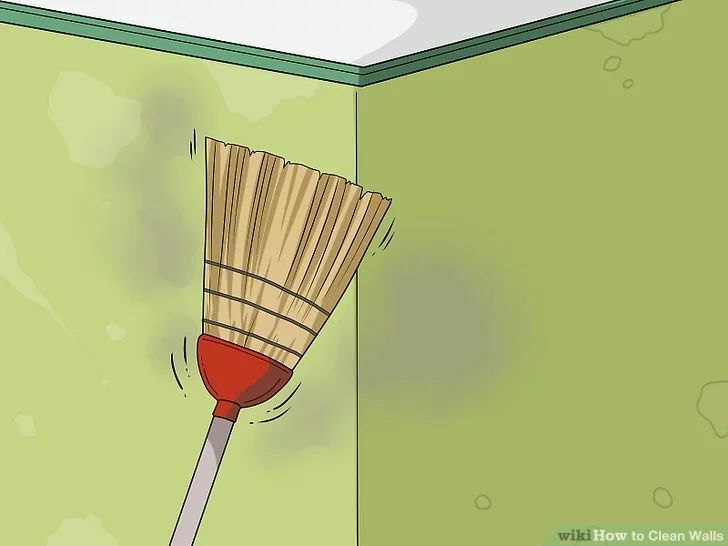 So before you get started, check out this list of tips to keep in mind when cleaning your walls and baseboards. 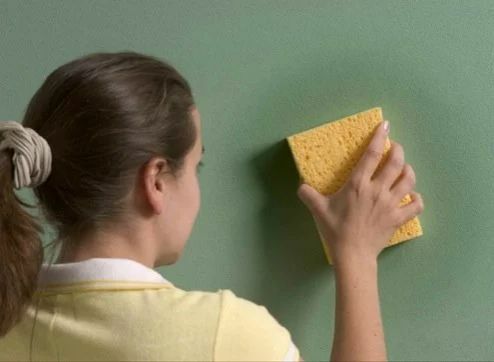 Before you get to any cleaning, make sure you dust your walls. The easiest way to do this is with a broom. Just slide the broom down the walls in a sweeping motion. If you're dealing with a lot of dust, you can wrap a towel around the broom to catch more dirt. To avoid damaging the paint on your walls, you should always start with your mildest cleaner: water. After you've gone over the walls with water, you can move on to a tougher cleaner: water and dish soap. If that doesn't get the job done, then grab your toughest cleaner: 1 cup ammonia, 1/2 cup vinegar and 1/4 cup baking soda in a gallon of warm water. You don't want to sacrifice your floors just to get your walls clean, so make sure you protect them. Regardless of whether you have carpet or hardwood floors, make sure you put down towels or tarps to prevent your wall cleaning methods from dripping all over the floor. If your walls could talk, they'd tell you how to best clean them. But since your walls probably aren't very talkative, you'll have to check into cleaning methods on your own. Start by figuring out if the paint on your walls is oil-based or latex and go from there. 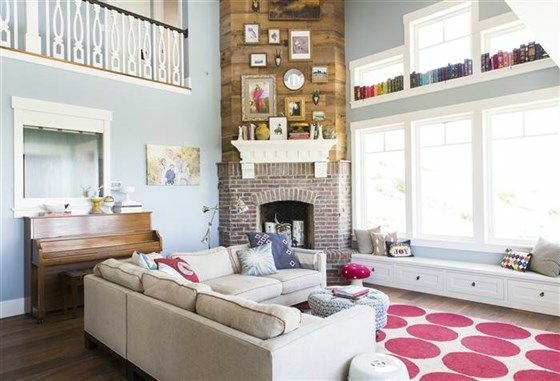 The most important thing to remember is that latex paint requires gentler cleaners than oil-based paint. 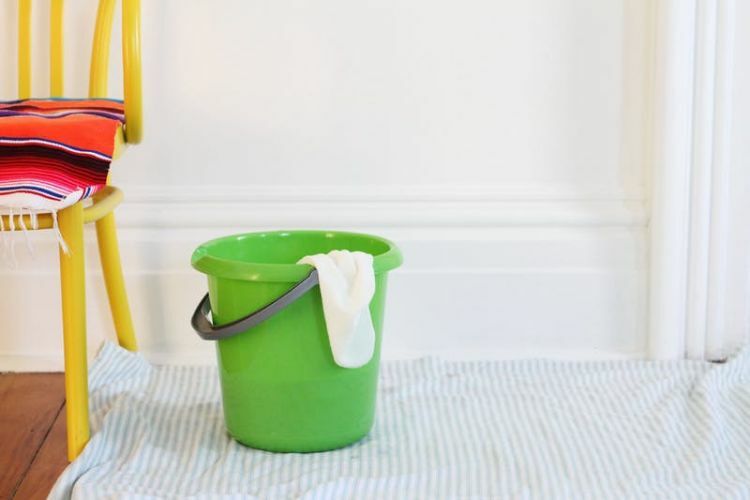 Depending on how dirty your walls are, you might have to go through a few different cleaners. Keep in mind that every time you switch cleaners, you need to grab a new sponge. If you keep using the same sponge through various cleaners, you're going to end up with a lot of grime built up on that sponge. Also make sure that the rinsing sponge you use at the end is a new sponge with its own bucket to avoid cross-contamination from the dirty sponges and buckets. One way to remove the dust from your baseboards without tiring out your back is to use your vacuum. 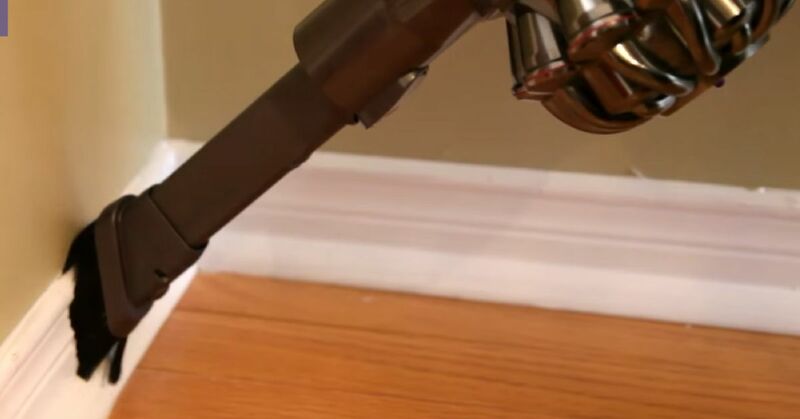 Make sure you have a brush attachment, hook it up and slowly drag it across your baseboards to vacuum up the dust without having to bend down. 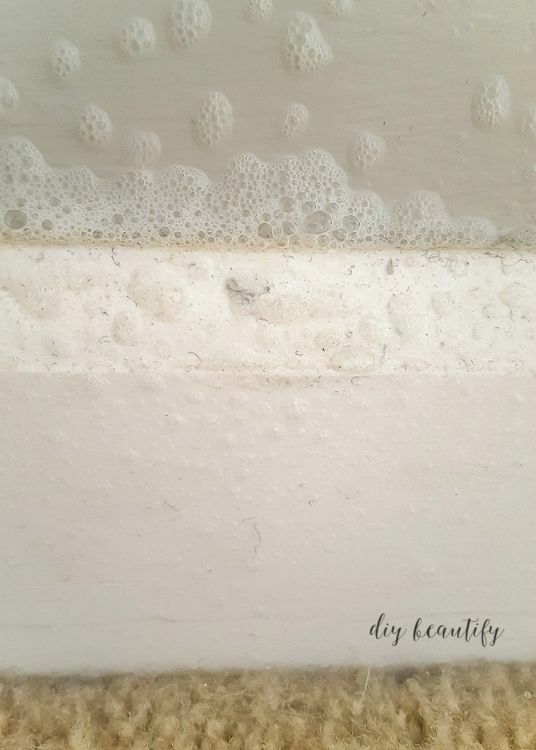 For really disgusting baseboards, a degreaser might be your best option to deep clean them. The easiest way to clean with degreaser is to find one in spray form. Spray a generous amount onto your baseboards, let it sit for a few seconds and then wipe it off with a damp cloth. Never estimate the simplest cleaning solutions. If your baseboards aren't terrible, but still need a quick clean, grab a few baby wipes. All you have to do is wipe along the baseboard and then toss the wipes in the trash.